In 2011, the first nine dental therapists (DT) of the University of Minnesota, School of Dentistry’s Dental Therapy program graduated. A second group graduated in early December 2012. Dental therapists go through a two and one-half year program, versus a four year degree for dentists, and are destined to make approximately half of what a dentist makes. They also are restricted from working in any dental practices other than those where a majority of the patients are on medical assistance or are low income families. States following Minnesota’s move to license dental therapists are California, Kansas, Maine and New Hampshire. The need for more dental-care practitioners is particularly evident at community clinics and other under served populations. Dental therapists can fill cavities, extract teeth, put crowns on and provide other preventative and restorative care normally performed only by dentists. 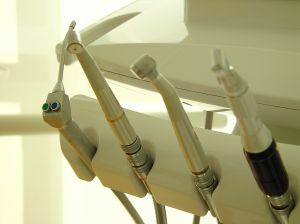 The action of the University of Minnesota and the State of Minnesota revolved around reports indicating that untreated oral diseases often lead to other more serious diseases, such as diabetes and heart disease. According to a 2012 Senate report approximately 130 million people in America have no dental insurance; 47 million live where dental care is difficult to access; and 17 million poor children have no annual dental care. Furthermore, there were 830,000 hospital ER visits in 2009 because of preventable dental issues. This is a 16% increase from 2006. Part of the problem, according to the report, is that the number of new dental graduates is not keeping pace with the number of dentists retiring each year. A study by the W.K. Kellogg Foundation arrived at the conclusion that dental therapists have been serving patients in 54 countries for almost 100 years, providing patients with preventative and restorative care. Dental therapists have also treated patients located in remote tribal areas of Alaska. After licensed dental therapists have accumulated more than 2,000 hours of on the job experience, they can attend the University of Minnesota, Metropolitan State University in St. Paul to attain a degree and be certified as an advanced dental therapist (ADT), allowing them to perform additional procedures. As an advanced dental therapist, they are able to provide dental care to more locations, such as shelters, nursing homes, schools and emergency rooms, at a significant saving as compared to visiting a dentist. Some dentists have been skeptical of the dental therapy concept. Emily Eggebrecht, with Children’s Dental, was one of those initially but now believes in the program because it provides care to so many more patients, who would otherwise go untreated.